While most families consider taking out a second or third mortgage on their home, there are other options available that may be more beneficial in the long run. Few know all of the details about a home equity line of credit, so this option is often overlooked as a possibility. This article seeks to answer some of the most common questions surrounding the two options, offering comparisons and details that may not be otherwise known about these two sources of credit. The first step in considering one's best option in borrowing funds is to look at the specific details of each option. In this case, defining the differences between a home equity loan and a line of credit is essential, before looking at the particular advantages and drawbacks of each option. Discover offers a thorough definition for each choice, creating a great starting point for evaluating each homeowner's best choice. Home Equity Loan: This alternative is just what one might assume. The bank will allow for a loan in a specified amount to be repaid in payments. The homeowner may choose the amount, but the bank will first determine how much the individual may be qualified to receive through an evaluation of one's assets and credit. Specifically, the loan to value ratio, payment term, credit rating, and verifiable sources of income will all be considered. This type of loan provides a sense of stability, as it will involve a fixed interest rate, fixed payment term, and fixed monthly payment. In the past interest on home equity loans was tax deductible, but this changed with the 2018 tax law. Under the new law only interest expense on a first mortgage is generally considered tax deductible, up to a limit of $750,000 in mortgage debt. Debt which is taken on in the form of a second mortgage must be used to build or substantially improve the dwelling to be considered tax deductible. Home Equity Line of Credit: This option adds more flexibility for the homeowner, giving the individual a greater sense of maneuverability than is the case with a loan. Using one's home as collateral, the homeowner can borrow as much or as little as he/she needs, though, like the loan, the bank will per-determine a borrowing limit. In this case, the credit limit is arrived at through an analysis of the property's appraised value, minus the amount owed on the mortgage. The bank also may consider the homeowner's verifiable income, debts, and credit history as additional factors in establishing the credit limit. In comparing these two options, the main differences are in the interest rates and in the repayment policies. As mentioned previously, the home equity loan qualifies for a fixed interest rate, but the line of credit normally has a variable interest rate. The variable rate is based on the U.S. Treasury bill rate or the prime rate, which means the rate may rise or drop from month to month. The individual lender may also add a "margin" of a few percentage points as well. Which index is the lender using? What is the current variable rate? What margin is the lender charging? What is the frequency rate of adjustment? What limits are imposed on the interest rate (i.e. the rate cap and floor)? Bankrate offers a wealth of unbiased financial information and one post takes a look at how these three credit options stack up. First and foremost, one needs to determine which choice is best for his/her circumstances and the answer to that will vary, depending on specific circumstances. While a second mortgage may be the best option for one individual, another might find that a line of credit suits his needs best. Determining which of the three choices would best benefit one's situation depends on how much equity one has in the home versus how much the individual wishes to borrow. Just as important is whether the individual wants a fixed or variable interest rate for reasons previously discussed. The borrower will also want to factor in the current mortgage's interest rate. Justin Lopatin, who serves as vice president of mortgage lending for PERL Mortgage, suggests a HELOC would be best in circumstances where the homeowner wants to borrow a small amount and repay it quickly. He suggests no more than $20,000. Mr. Lopatin also warns that a line of credit can be an addictive source of funds with homeowners accessing the line of credit even for trivial matters. In this way, a home equity loan might be the better option, as it provides for a specified amount to be repaid over a fixed term. Also known as a second mortgage, this choice isn't a frequent consideration, but banks still do offer them. Some banks are now offering a hybrid of the loan and line of credit, combining features from both to give homeowners a choice with even more flexibility. As long as all of the payments are completed within the draw period, a shocking big payment at the end of the term may be avoided. Also, the hybrid loan adds the advantage of paying at a fixed rate, but unlocking it, if the rate drops. By doing this, the borrower can secure a lower rate. Finally, a cash-out refinance is a first mortgage that also allows for a cash advance, as well. This is usually done to access the equity in one's home without creating additional loans. Instead, it all remains in one loan. One warning in regard to the cash-out refinance is that bank's usually limit the amount to 80% of the property's value. Along with considering fees and interest rates, this restriction should be carefully considered when evaluating one's choices. What Is a Line of Credit Used For? That question plays a large part in determining whether or not to proceed in applying for a line of credit from one's lender. One common use of a line of credit is to pay off other debts, such as credit cards, other loans, and overdue bills. While that might seem like a good option for getting a step ahead, most finance professionals agree that this kind of plan could backfire. The biggest concern here is that in paying off credit card debt with money obtained through the HELOC means one is trading off unsecured debt for secured debt. Lenders suggest avoiding this unless it's absolutely necessary, primarily because it pulls one's home into the equation and increases the risk of greater loss. Speaking of credit, many people considering the HELOC want to know how it will affect the borrower's credit score, if at all. First of all, it does affect one's credit, much like a credit card. On the credit report, the line of credit would be reported as a mortgage or an installment loan. There is a difference in the way a line of credit is reported on one's FICO credit score, however. For credit cards, a FICO score is determined by comparing how much credit is available to the individual versus how much credit has been used. Financial experts recommend staying below a 20% average, meaning that one shouldn't charge more than $200 on a $1,000 credit limit. FICO doesn't treat a line of credit as a revolving account in the same way that credit cards are, even though they may operate similarly. Research backs up the idea that HELOC is much more like a mortgage than a credit card and FICO scores reflect that tendency. For the purposes of exploring a HELOC, a line of credit is revolving, because it can be borrowed against and repaid multiple times. Conversely, non-revolving accounts are specified one-time loans with fixed repayment terms and monthly payments. Car loans, home loans, tuition loans are examples of non-revolving accounts. While second mortgages are more widely known, homeowners are showing greater interest in lines of credit. The use of HELOC accounts has risen steadily since 2012. As the housing market continues to rebound, interest in accessing a line of credit for the purposes of home improvement is of particular interest to many. While taking second mortgages resulted in upside-down loans and contributed to the crash in 2007-2008, the HELOC offers a safer and more flexible choice to homeowners. The line of credit can be accessed as needed without having to fully repay the amount borrowed in advance. There are two phases to the HELOC, the draw period and the repayment period. Draw - During this phase, the homeowner/borrower can access the line of credit at will, while paying just a minimum into the account each month. Normally, the amount paid throughout this phase is equivalent to the interest payment and nothing more. 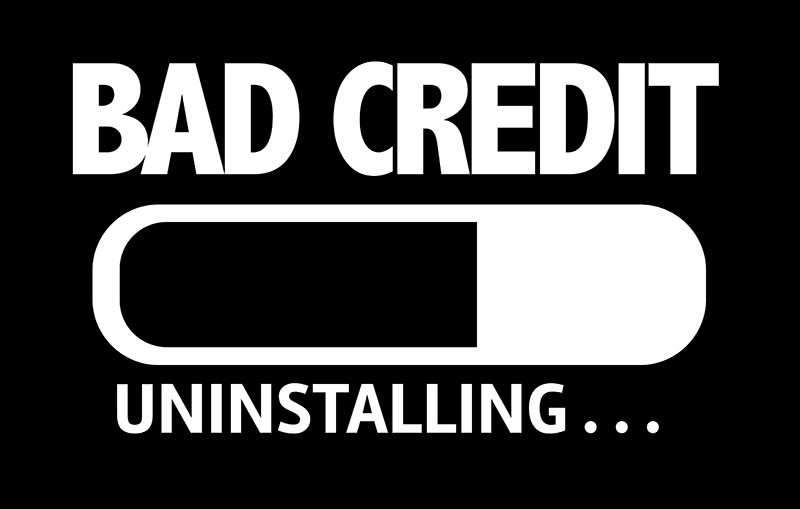 Repayment - When this phase begins, access to the line of credit is restricted and no more funds can be withdrawn. Instead, the borrower begins paying on a repayment plan that consists of larger payments to cover the principle and the interest. While it's easy to see how homeowners could get themselves into financial trouble with a line of credit, smarter consumers are seeing the value in using this type of credit wisely. By remaining in their homes longer and using a HELOC to improve their property, borrowers are investing in a brighter future. The improvements increase the value of the property and add to the homeowner's equity in the house, so, over time, the line of credit pays for itself. Owners of small businesses may want to consider a line of credit over a business loan as well, because access to credit may serve the business owner's needs to a greater degree. On a $50,000 line of credit, the business may only use a portion of the available funds and, if that is repaid in full, the business can then have access to the full $50,000 once again. In the case of a business loan, the loan would have to be repaid in full and a new loan application process would have to be pursued for an additional loan. In most cases, the interest rate is lower on a credit line than it would be on a business loan, but Fundera reports that one late payment may result in penalties. For instance, that low interest rate will rise substantially. Also, borrowing over the established limit will result in similar penalties. Unlike a term loan, a small business may want to establish the line of credit before it's needed. The idea is to have it available when needed. In order to establish credit, the business has to do more than provide proof of the physical structure's equity. A healthy, steady cash flow in the business is also required. Cover a temporary payroll shortage: In the case where payroll comes due shortly before receivables are collected, using a line of credit to cover the period in question would prevent delays and shortages. Seasonal expenses: Similar to covering payroll in the example above, borrowed funds can be used to cover temporary expenses, such as snowplowing after an unexpected snowstorm. Again, this is a temporary fix for sudden emergencies and the borrowed amount should be repaid as soon as possible. Cash flow shortages: Use a line of credit to cover inventory that requires C.O.D. payments and, as those products are sold through the business, the profits can be used to repay the account. As is the case with the HELOC, the business line of credit shouldn't be used for anything more than a temporary fix to a short-lived problem. Business owners should look at other options in the event of anything more long-term. While business owners are not typically held personally responsible for their business' line of credit debt, they may have to offer up receivables and inventory as collateral, so borrowing against it should be done with restraint. It should also be noted that a term loan may be preferred in some cases, where the business owner would prefer to receive one lump sum and a fixed repayment schedule. Small business loans can be secured or unsecured with fixed interest rates or variable interest rates, so, as with any financial service, it's advisable to shop around for the product that best fits one's needs. Whether one is looking for a short-term fix or funds to invest in a longer term project, the key is to seek out the service that will do the job at the lowest cost. Sometimes, that means considering a line of credit, as opposed to a standard loan, given in one lump sum. Determining one's best option is something that should be considered carefully. The above calculator on this page can help you make an informed choice. Individuals should contact their preferred lender and inquire about current interest rates, before using the calculator to get the best results. In closing, remember that a line of credit can be a valued tool for increasing equity and building a happier life, but only if used wisely and with restraint. Think of this article as a starting point, upon which research specific to one's own situation can be mounted. In a world with an ever changing financial industry, the smartest homeowner and/or small business owner keeps a close eye on rising and falling interest rates, evolving new financial products and services, and one's own credit history and personal equity. The key to financial success and remaining solvent is to use lending tools to get the most out of one's investments.